Let's start at the beginning. Just fire up your Photoshop and create a new document (CTRL+N). See the parameters below. Now you should add some pattern to your background. Choose the Pen Tool and cut off half of this square. 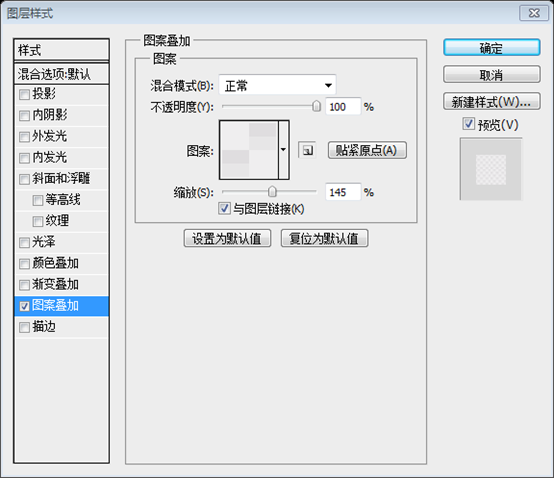 Select all your "Facebook" layers and merge them (Ctrl+E). Now add the "follow" text to our Facebook button and play with its blending options. Try to create your Facebook logo for this button. 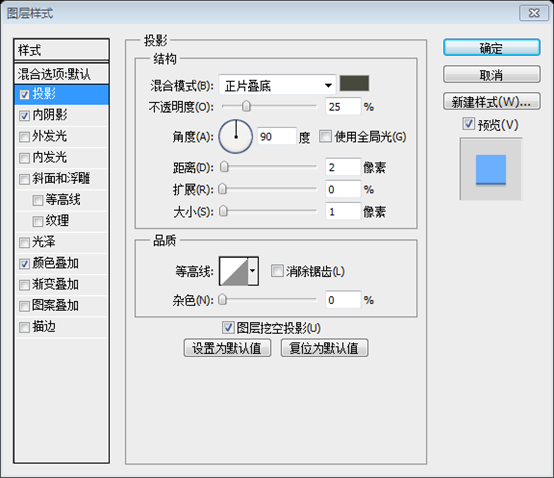 For example, you can create the "F" letter, decorate it with a blue color (#5a90e5). With the help of a clipping mask, insert the image into the square. The footer of the website is as important as the header, if not more so. Ask yourself, "What do you want your visitors to do when they reach the bottom of the page?" 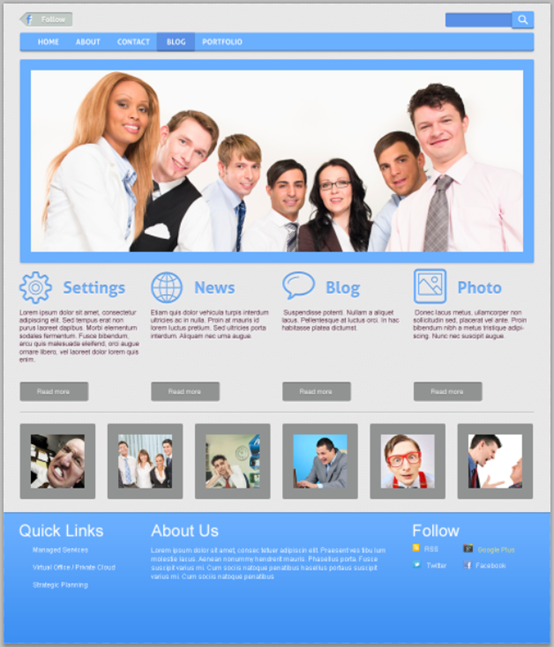 The answer you come up with will be a great starting point for designing your website footer. Use the Arial Regular font for the text in the About Us section (12px). The text for the Quick Links section - 22px. We want to create an awesome design, yeah? 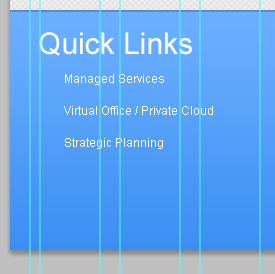 That's why we should use a grid system for designing. You can easily create a solid visual and structural balance of websites with grid-based designs. 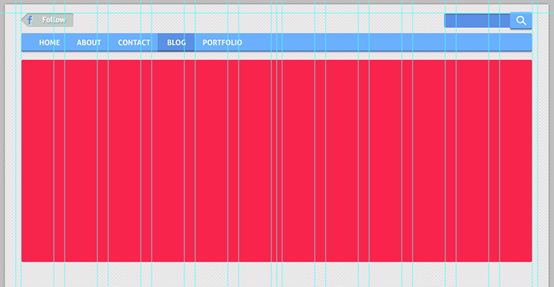 Put some grids to your design with intervals of 60px and 20px. So... now it is time to design the menu of your future website. 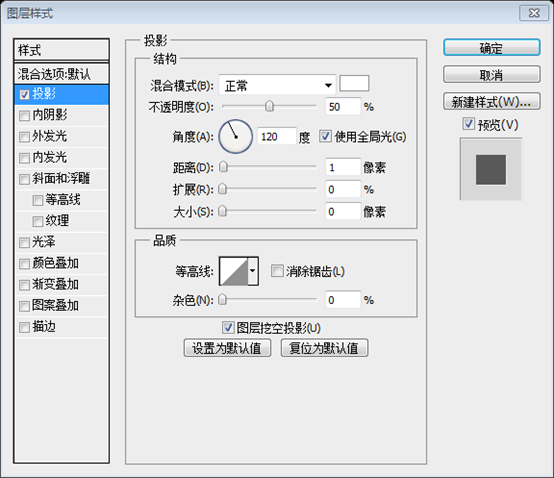 Use the Rounded Rectangle tool to create it (radius - 3px). The width of your menu is 940px, the height is 34px. I chose the #6bafff color for this menu bar. Let's add some text to our menu. Use the Horizontal Type Tool for it. You can create your design with any font you like. I used the Aller [bold] font. The size is 14px. All the menu buttons are links and the designer should show how their hover state looks like. 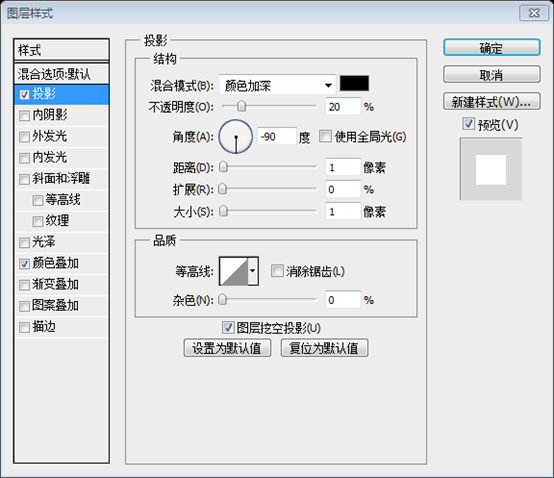 So, create are rectangle (the color that I've used for it is #5a90e5). Now it is time to use icons that we've downloaded at the beginning of this tutorial. Open the "Linecons Free - Vector Icons Pack and find the search icon there. Just apply some bells and whistles to it. To create nice slider, we should add some images to it. With the help of the Ctrl+Alt+G shortcut,create a clipping mask. Use a bunch of free icons again. 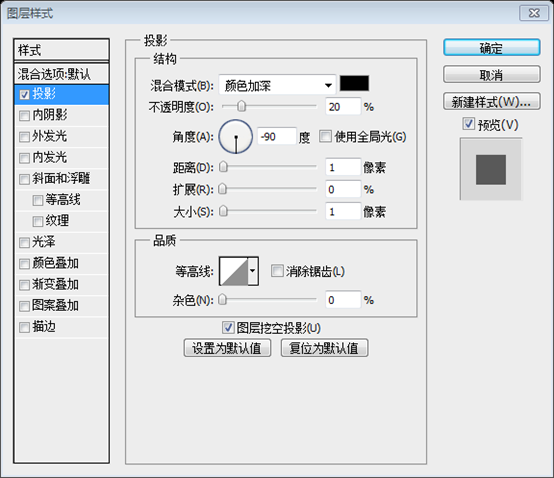 I've selected the following icons: "settings","bubble", "photo","world"
Add some text. You should use the same font that you used for your menu bar. Set the font size to 30px. Play with Blending Options: add a white shadow, color overlay ( #6aaefd) and an inner shadow. WOW! Look at this amazing result! Fill these four columns (width of each - 240px) with some "loremipsum" text. It is better to add a different text to every column. Create a Read More button with the help of the tools that we've used before. Blending options-> Inner Shadow, Drop Shadow, Color Overlay (#919392). Add the "Read more" text to our button. Now we should separate the main content of our future website. 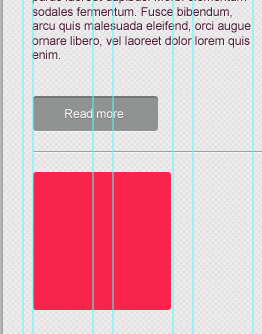 Create a 1px line and add styles of your "read more" layout to it. Your next block can be a section entitled "Partners" or you may want to showcase your latest blog posts. Use the Rounded Rectangle tool to create a square (hold down the Shift button). Radius - 3px, width and height - 138px. Copy and paste this element 5 times :) Place these squares with the interval of 20px.